Tickets are on sale now for Hot Java Cool Jazz at the Paramount Theatre, 911 Pine St. Seattle! Friday, March 15, 2019 @ 7 PM. 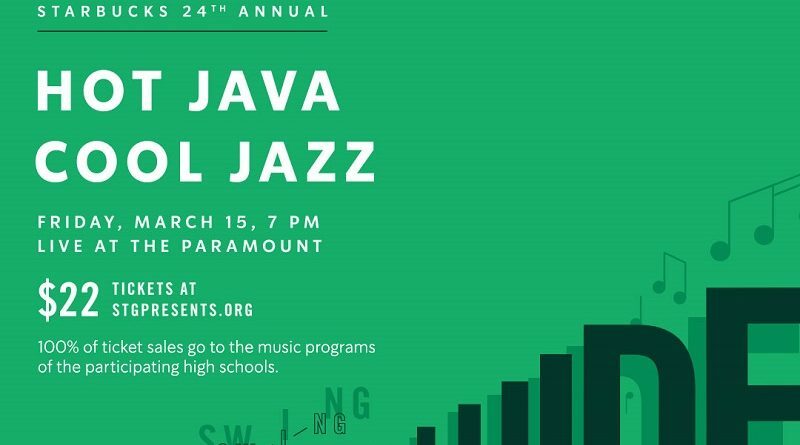 All proceeds go to support the Garfield Jazz program if you purchase tickets through the website: https://garfieldjazz.org/support-the-program/merchandise/2019-hot-java-cool-jazz/.